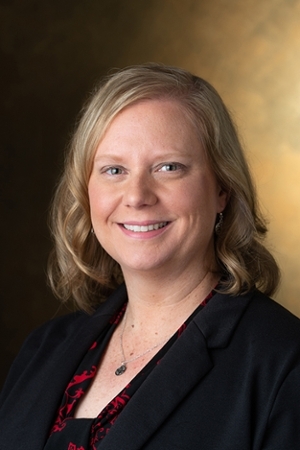 Southern Illinois University Edwardsville Associate Provost and Graduate School Dean Jerry Weinberg, PhD, has named Jill Smucker as director of graduate education. Smucker assumed her new duties at the turn of the New Year. In her role, Smucker is responsible for administration of programs and services for graduate students, expansion of the master’s degree in healthcare informatics and integrative studies, management of graduate program assessment and review, and leading new initiatives for graduate student success. SIUE’s outstanding reputation for delivering high quality graduate programs and student support services appealed to Smucker. “I look forward to working in collaboration with SIUE faculty and staff to make continuous improvements to Graduate School services, and to ensure that graduate students are engaged in the many opportunities we offer,” she said. A New Baden native, Smucker arrives on the SIUE campus from McKendree University, where she served as the assistant director of career services for the past six years. Her 11 years of experience in higher education include three years as an academic advisor at Saint Louis University and two years as a retention facilitator at Kaskaskia College. As McKendree’s assistant director, she supervised career assistant staff and provided career development and guidance to undergraduate and graduate students. She planned and coordinated the implementation of campus-wide events, including career conferences, career fairs, and employer on-campus interviews. She also served on McKendree’s retention subcommittee to develop institutional strategies for increasing graduation rates and as a Title IX investigator for sexual assault complaints. She has served as an officer for the Gateway Career Services Association for the past four years. Smucker earned a bachelor’s in psychology from Southeast Missouri State University and a master’s in college student personnel from SIU Carbondale.